For the fourth series of Levison Wood’s epic journeys around the world, October Films commissioned me to create titles and map graphics, tracking his travels across the Caucasus mountain range from Russia to Iran. Building on the work I’d done for the previous series in Central America, these graphics took on a more rugged and grainy aesthetic, with the country names hewn into the landscapes. Based on satellite imagery and elevation data, we found a balance between realism and capturing the vastness of the Caucasus mountain range. It was first broadcast on Channel 4 in August 2017. 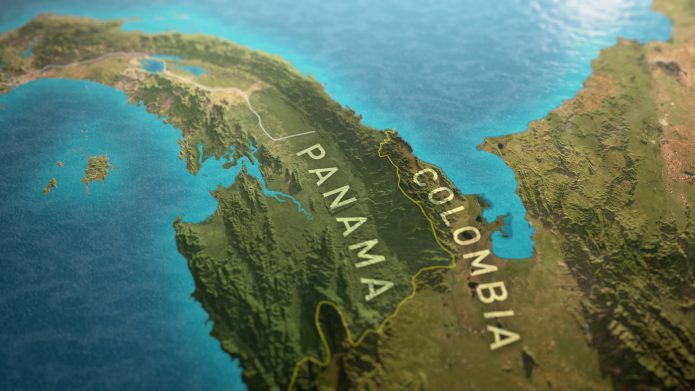 Working with Robert Grieves, we produced a series of 3D maps for the Channel 4 TV series, Walking The Americas. Using actual elevation data and the GPS of the routes walked, we created textured terrains that accurately represented the journey whilst conveying the tropical environment of Central America. Several maps were made for each episode and an overall map travelling right from Mexico to Colombia as the title sequence for the series.